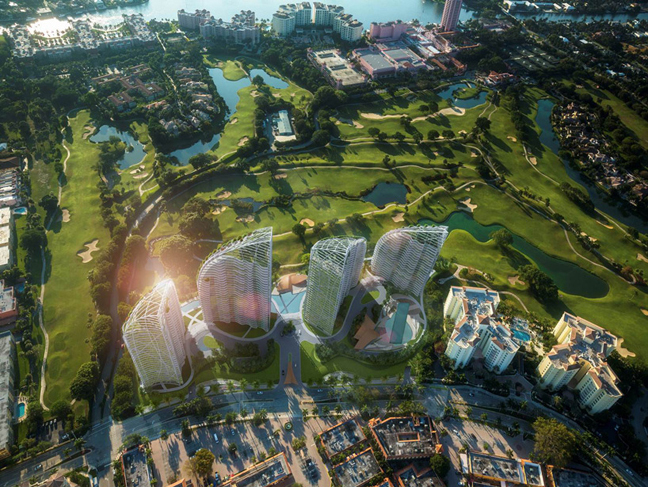 Daniel Libeskind has been commissioned to design four new ultra-luxury condominium residence towers to add to the ‘Mizner on the Green‘ community in Boca Raton, located just North of Miami. 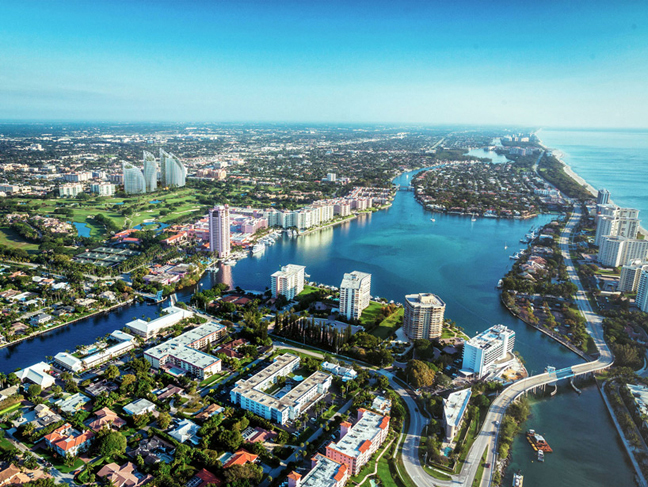 Developed by Florida-based ELAD national properties, the structures will provide views of the coastline and will be complemented by a 2-acre public park containing art, seating areas, and expansive stretches of grass and vegetation. The project will add 254 owner-occupied dwellings to the 246-unit rental community existing on the site. The project seeks to offset a rise in rental apartments in the coastal Florida downtown area (nearly 2000 units recently approved), by providing a complex dedicated to owner-occupied residences. Similarly, the scheme intends remain relatively low-density, by placing all parking underground and dedicating nearly 50% of the site to open green space. 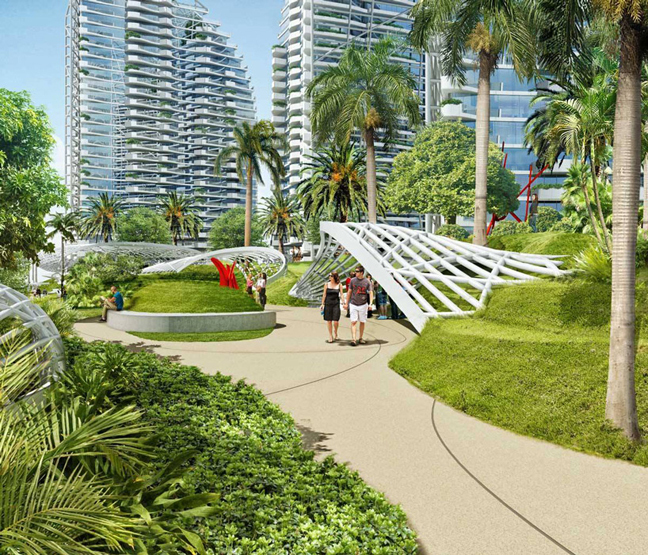 In collaboration with designer Daniel Libeskind, the development will be implemented by local architect Garcia Stromberg and landscape architecture office EDSA. On average, the condominium unit size will be 2,500 square-feet, while each will feature expansive views to the ocean and be accessed by private elevators. The proposed scheme envisions vegetation not only across the site’s landscape, but also on the residence’s balconies as well as the high rise roof tops. 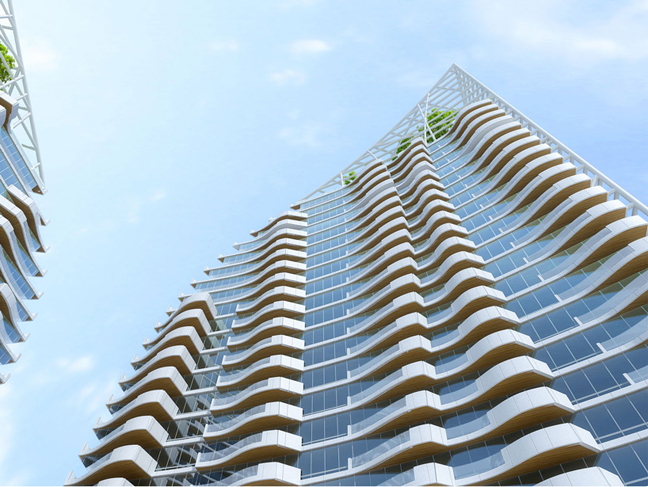 The glass towers will exist as some of the tallest structures in the area, comprised of low to mid-rise buildings.